Soompi Awards 2016 round one vote for best fandom has started for the 12th annual time. Less than 24 hours are remaining before the voting will be closed. 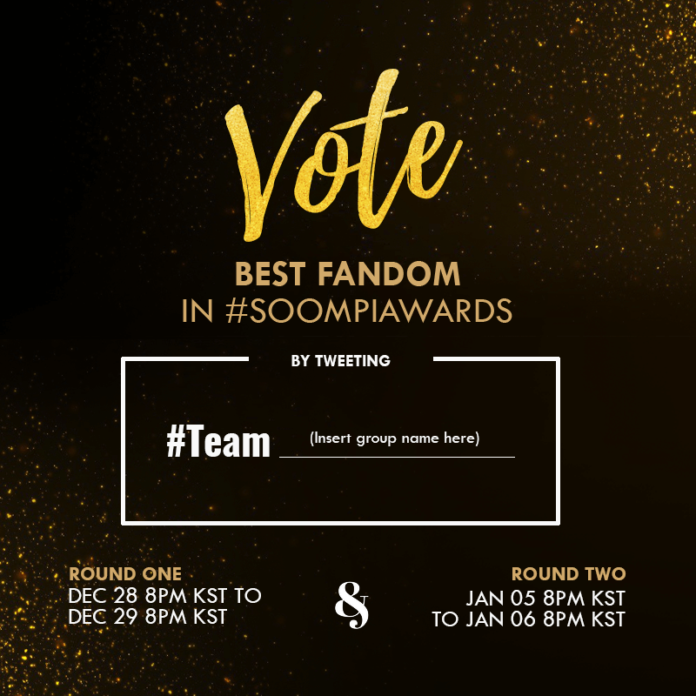 This time, it is the third inaugural of Soompi’s Best Fandom Twitter battle. It will take the hashtag #SOOMPIAWARDS to the trending charts worldwide. Speaking of the last year, more than 35 million people voted via Twitter. The fans are going to make it trend the best once again. Now, it’s not even 24 hours to vote, so hurry up and make your favorite star win. You just have to tweet the hashtag and the name of your bias group. Going by the history, votes will be counted only if voting is done through Twitter in two 24-hour periods. Round one has already started and will end tomorrow, December 29, 8 pm KST. After a few days, the round two will begin on January 5, 2017, 8 pm KST and will end in 24 hours. Check: Dangal Box Office Collection. The final/ultimate winner will be declared after counting the total number of tweets/votes sent between these two 24-hour time frame. There are no restrictions on how many times a single user can vote. So, get ready and tweet as many times as you can and make your group win. Just be sure to tweet in without wasting any more time. Moreover, there are going to be giveaway prizes. Fans who tweeted will be randomly chosen for the same. The prizes include autographed albums this time from groups like BTS, SEVENTEEN, BIGBANG, and more. To win the prizes, you have to tweet as much as you can to increase your winning probability. SoompiAwards special MCs MONSTA X and Jota are there to cheer up the fans. Get, set, ready and tweet. May the best fandom wins.